KYIV, Ukraine, June 5, 2018 /PRNewswire/ - The State UKRGASBANK and TIU Canada, the first Canadian investor to construct solar projects in Ukraine since 2010, have begun cooperation in increasing the capacity of renewable energy sources. Reference: TIU Canada is an energy company operating in the renewable energy sector owned by the "Refraction 1 Fund" a Canadian investment company. 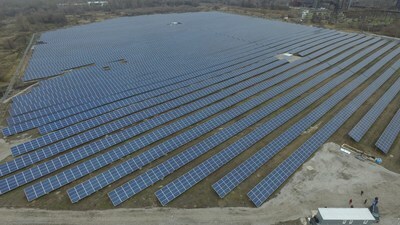 TIU-Canada is a renewable energy company working in Ukraine.